At SleepRestfully you will find the best quality products at sensational prices. You can even compare different ResMed CPAP therapy devices so that you can find out quickly which solution suits best your current needs. By using CPAP therapy, you will be able to sleep comfortably without being awakened suddenly that you need to grasp for your breath. 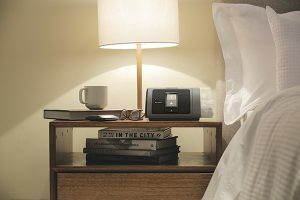 These devices offer you the best quality sleep. When you wake up there will be no more rustrating headaches, daytime sleepiness or chronic feeling of fatigue present. The CPAP therapy devices are designed to help patients stay active and be able to carry on with their regular tasks, both on personal and professional level. customer service with questions related to financing options, how to find out if your device is covered by insurance and plenty more. ResMed produces medical grade, safe and efficient aiding machines for patients with lung disorders or sleep apnea. By using proper CPAP therapy delivered by a high quality device you will enjoy a healthier lifestyle, a more equilibrated life! Forget about feeling tired. Forget about feeling exhausted. Forget about sleepless nights. Check out the great medical grade CPAP therapy machines by ResMed, Philips Respironics or Fisher and Paykel. Many people believe the main reason they cannot get good quality sleep is because of a bed that is not comfortable or because of stress and anxiety. However, your reason for not being able to sleep well might be that your system suffers from obstructive sleep apnea. ResMed offers some of the highest quality respiratory care solutions for patients. The devices they manufacture are completely reliable, delivering efficient sleep therapy to patients worldwide. The company has been funded well over two decades ago and ever since experts strive on bringing to the market more innovative, smart and compliant solutions for patients with respiratory problems. 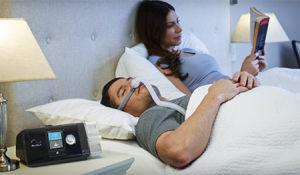 Whether it is Sleep Apnea or Emphysema you are struggling with…ResMed has the solution. Continuous Positive Airway Pressure machines take air from the ambient and transform it into a high pressure required to maintain open airways. The device emits a constant burst of oxygen, and patients can breathe at constant and normal rates. patients. Many patients do not even have to perform CPAP therapy during the day (such as Sleep Apnea patients). 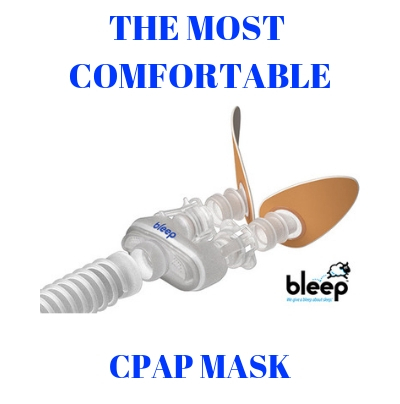 SleepRestfully.com invites you to start browsing among the top quality ResMed respiratory solutions and choose the one that is most suitable for your needs. Contact costumer service portal for more information on how you can access the best financial solutions to purchase the oxygen therapy device that you need.